Yitzhak Sadeh (Landoberg), who was nicknamed “the old man”, was a general in the IDF, a commander, a leader, an educator and a writer. He was one of the leaders of the Gdud HaAvoda and he was a member of the underground kibbutz. He was one of the Haganah’s founders, a founder of the Palmach and its first commander. He was one of the people who laid the foundation for the IDF and for Israel’s independence. Joseph Trumpeldor was a Jewish fighter. A socialist Zionist leader and a pioneer> His life, his heroism and his death in the Battle of Tel Hai made him a Zionist model and a national hero. He was the first Jewish officer in the Russian army and he served in the Russia-Japan War in 1905. 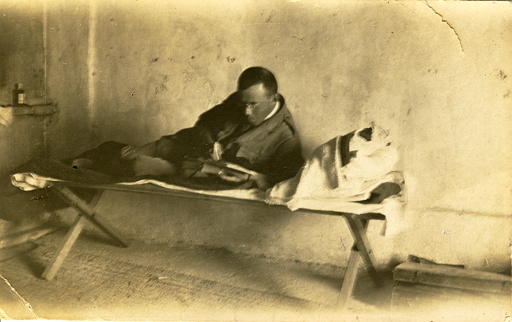 There he was injured and his arm was amputated.He came to Israel in 1912 and worked as a farmer. In World War I, he refused to accept Ottoman citizenship and was exiled to Alexandria, Egypt. 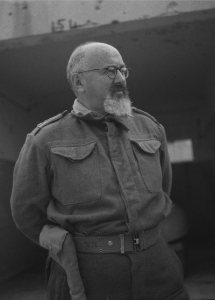 He, together with Ze’ev Jabotinsky and others, founded the Gdud HaIvri during World War I. He took part in the Gallipoli Campaign as the second in command of the “Zion Mule Corps”. After the war, he returned to Russia where he was one of the founders of Hahalutz. In 1919, he returned to the Land of Israel. He was killed in the Battle of Tel Hai on March1, 1920. 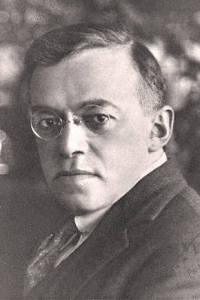 Ze’ev (Vladimir) Jabotinsky was a Zionist leader, a writer, a poet, a translator, a journalist and a famous orator. He was one of the people who revived the Hebrew military: he was a founder of the Gdud HaIvri in the British army during World War I and a founder of an independent group for the protection of Jews in Odessa. He was the founder of Revisionist Zionism, the head of Beitar, the military leader of the Etzel and the president of HaTzohar (Union of Revisionist Zionists). He was one of the leading liberal Jewish philosophers of the modern period. 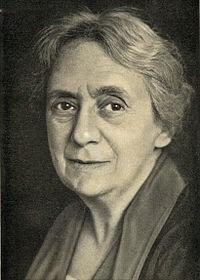 In 1920, she came to Israel on aliyah to coordinate the Zionist Health and Education Department. She founded the first school for nurses in Eretz Israel. In addition, she established Hadassah public clinics all over the country, establishing the basis for a health care network in Israel. Szold was the chairwoman of the Hebrew Women’s Organization. In 1931 she was chosen as the representative of The Union of Hebrew Women for Equal Rights to the third Assembly of Representatives. She also served as the head of the social worker services under the management of the Jewish National Council. One of her organizational decisions was to establish a Welfare Department (which today is known as The Department of Social Services), with offices all over the country. All of the Department’s social workers received professional supervision. By the time she died, 50 welfare offices had been established in the Yishuv. Szold’s actions and decision laid the groundwork for the principle of a welfare state in Israel. 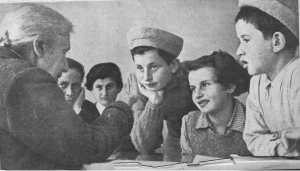 In 1932, after the Jewish Agency approved the idea of Youth Aliyah, which was the brainchild of Recha Freier, Szold was appointed head of the body. She served in this position until her death and was known as the “Mother of Youth Aliyah”. In this role she was responsible for the absorption of children and who came to Israel after the rise of Nazism in Germany, including the “Teheran Children”. She was responsible for placing them in suitable frameworks, an issue which caused a public debate. Szold decided that the children over 14 would have the right to choose which framework they wanted. Szold met with each of 400 of the younger children in order to clarify whether or not they came from religious homes in Poland so she could be certain she wasn’t causing them harm by sending them to an inappropriate school. 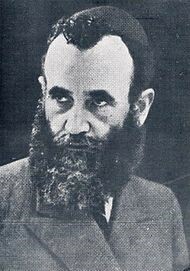 Rabbi Shapira was a Hassidic leader, a devoted Zionist and a leader of the Religious Zionist Labor Movement. He was born in Poland, the son of Rabbi Elimelech Shapira, the Rabbi of Grodzisk and Hannah Bracha (the daughter of the Rabbi of Hanchin. His brother was the Rabbi of Piaseczno, the author of The Students’ Obligation )Hovat haTalmidim) and one of the leaders of the Jews in the Warsaw Ghetto. He was murdered by the Nazis in 1943. In 1914, Rabbi Shapira secretly visited the Land of Israel and he was deeply impressed. Moreover, he was influenced by HaRav Kook whom he greatly admired. When he returned to Poland, he convinced many others to go to the Land of Israel on Aliyah, which caused strong opposition among fellow rabbis and within the Hassidic communities. He would appear in Hassidic communities and urge the people to make Aliyah. He was among the founders of the Mizrachi Movement in Poland. In 1920, he came to the Land of Israel on Aliyah and was one of the founders of the Poal HaMizrachi Movement in the Land of Israel and even headed the movement for several years. The essence of the movement’s ideology can be found in Kol Koreh, which he wrote together with other rabbis.